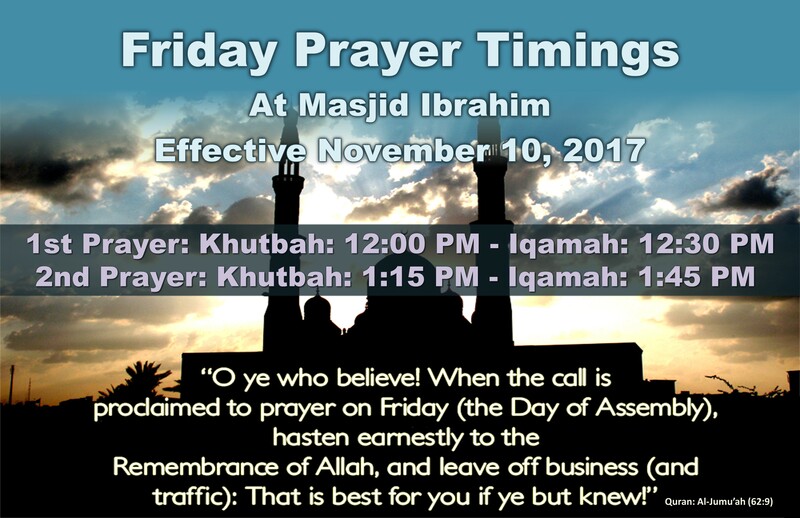 Following Friday Prayer timings are from November 11, 2017 through March 9th 2018. The first Kutbah will begin at 12:00 pm and the Iqamah will be at 12:30 pm. The second Kutbah will begin at 1:15 pm and the Iqamah will be at 1:45 pm.